Elk Pond in Telluride Mountain Village is a place where people can come to fish without a license, sunbathe, kayak, paint and just hang out. I love the way the water catches the reflections of the sky, mountains, trees, and this particular fisherman and reader. This is a pastel and gouache sketch in a 12 X 12 inch Derwent Black Paper sketchbook. 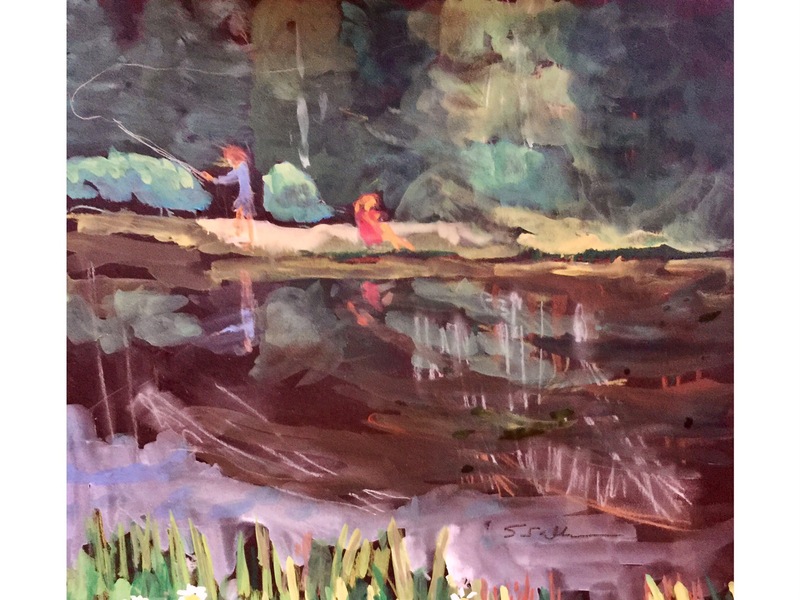 This entry was posted in Landscape, Telling a Story and tagged Colorado, Elk Pond, Gouache, Landscape, Pastel, Telluride Mountain Village. Bookmark the permalink. This is tranquil, atmospheric and lovely – one of my favorites so far!